This diamond engagement ring is decorated with 1.95ct. t.w. 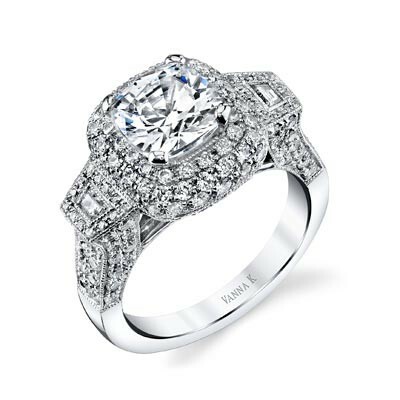 diamonds (2.0 ct. cushion-cut center diamond not included).